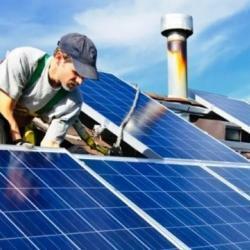 Solar panel installations soared to annual records – again – in 2018. For residential users, NSW regained the lead as the nation’s largest market, with 326MW added, up almost 60 per cent from 2017 levels. “We’d expect to grow another 20 per cent this year,” Mr Mercuri said. Even with the industry’s rapid pace and payback times for residential panels dropping to under five years, consumers were becoming more savvy, he said. “They know the brand they want, the panels, the system size – they’re more educated,” including wanting to know how long the retailer had been around, Mr Mercuri said. With signs that retail power prices have started to taper – reducing one accelerant for demand – fresh buyers were appearing on the commercial side, which accounts for about 30 per cent of Solargain’s sales, he said. Green Energy Markets’ Mr Edis said businesses looking to add systems of greater than 100 kilowatts of capacity – a segment which more than doubled in 2018 – was emerging as a growth sector. “We’ve probably got significant room for growth there in 2019,” he said, adding the sector “is only just starting to develop some legs”. One reason for the optimism was many companies had three-year power contracts. About a third of them could expect higher electricity bills this year when they renewed deals that included the effect of the closure in 2017 of Victoria’s Hazelwood power plant, making solar PV more attractive.